When I first came across the Lifetime Income Generator program for this Lifetime Income Generator review, it was due to a subscriber on my YouTube channel asking me if I had ever heard of it before. The truth is I did come across the Lifetime Income Generator program fairly recently as many of programs very similar to this one are now starting to pop up everywhere. So, what is the Lifetime Income Generator and is it legit or another scam? Let’s jump right into my honest Lifetime Income Generator review to find out! Lifetime Income Generator is a program that works similarly to that of Leaders League 360 where you sign up for different programs such as Traffic Monsoon and My Paying Ads in order to make a few hundred dollars online. According to this program, you will be given step-y-step video tutorials on how to begin implementing the system so that you can begin making sales as soon as possible by advertising your various links and driving traffic to it. Like I stated before, these types of programs are relatively new to the online world and many people “claim” to have been very successfully in earning money online in this fashion. This program is primarily for those who want to make money online and for those who want to do so without having to do much work. 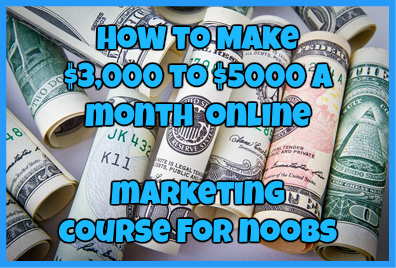 However, this program tends to be targeted to newbie online marketers when in fact the only ones who will succeed with this program are those with some experience. The Lifetime Income Generator is currently being advertised at a price of $18. However, there are many other programs out there such as Leaders League 360 that offer the exact program for free. The first thing that I personally don’t like about this program is the very website that is used to promote it. At first glance it looks like a pretty decent website but upon further investigation you will notice that this website is made via the WIX portal which means pretty much anybody can make this type of website for free. To be honest, if this program was as profitable as the owner claims it to be, they would spend at least the $10 required for a personal .com or .org domain. The way that the Lifetime Income Generator works is by signing up for 4 different programs and utilizing this system in order to make sales. So, for example, you would sign up for one of the programs listed such as My Paying ads and then Traffic Monsoon. You would then pay per ad share for My Paying Ads and then run your link for Traffic Monsoon using that system. You would also do the same for the other programs you need to sign up for. The whole goal of this system is to run your online business using these programs completely on autopilot. While the idea for this type of program seems sound, even for an experienced marketer it can become quite confusing. After carefully looking deeply into this program, it is one that I can’t recommend to anybody, regardless of their internet marketing experience. 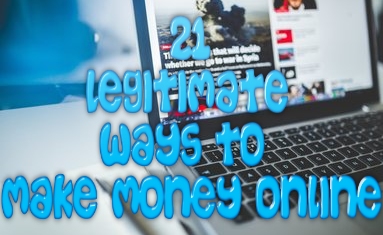 If you are new to online marketing in general, you will not succeed with this system simple because it is confusing and you will not be able to drive quality traffic to your links in order to make the money you want. And if you are an experienced marketer, you will see for yourself that this opportunity is just not lucrative. With that said I caution anybody about wasting money on this system. Have you tried the Lifetime Income Generator system? If so, what was your experience? Let me know in the comments below! ← My Paying Ads Review: Will Purchasing Ads Truly Pay You? Survey Junkie Review: Is Survey Junkie Reliable?